I love looking through baby registries. Seeing the things that have developed since Jonah was born has been fun as I was preparing for Caroline’s arrival. It seems like I am at the age where a lot of my friends are having babies and so I have been to a lot of baby showers in the past year. When I was looking through one of my friend’s registry, I came across the Tiny Princess Gymini Move ‘n Play activity mat and instantly fell in love! It is so girly and fun, and a lot more practical than a lot of the products out there for newborn and early infants to play with. The first thing that caught my eye was the fun bright colors, raspberry pink, chocolate brown and apple green. After being the only girl in the house for the past 3 years, I really wanted some fun girlie things for Caroline. Pink is rapidly taking over the house! The Tiny Princess Gymini Move ‘n Play features hanging whimsical toys, teethers and a mirror. All of this is attached to a brightly colored, extra-large activity mat with many fun activities for Caroline to play with. The flexible arches feature an electronic music and lights toy that plays seven melodies (batteries not included). The arches can be adjusted by sliding the musical device down the arches to accommodate tummy time, and allowing you to have a better angle when playing with your child. This is a great idea because now you can adjust the mat for all babies along their development. When your baby is able to sit up, the arches can be removed for a fun play mat. I love how I can move the center musical device lower on the arches so that Caroline can touch it. The hanging toys slide along the arches and can also be removed and Caroline has been loving playing with those in her car seat, especially the adorable porcupine! 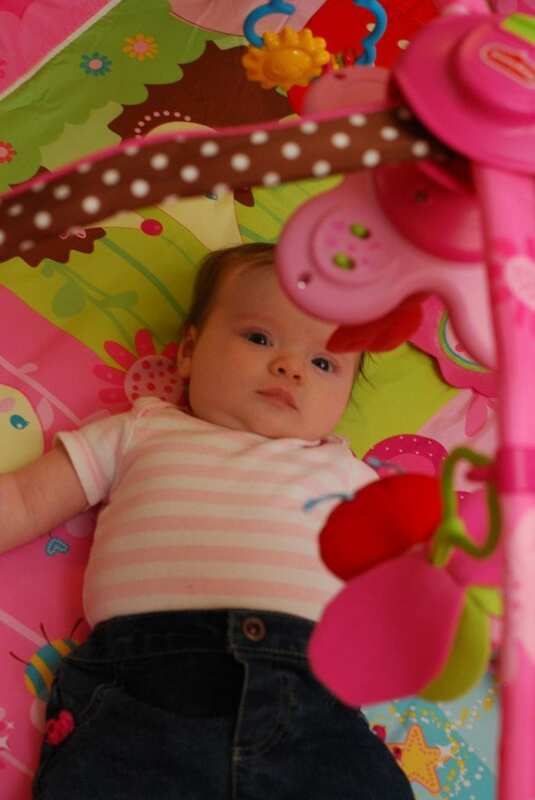 One of Caroline’s favorite things about the activity mat is the mirror. 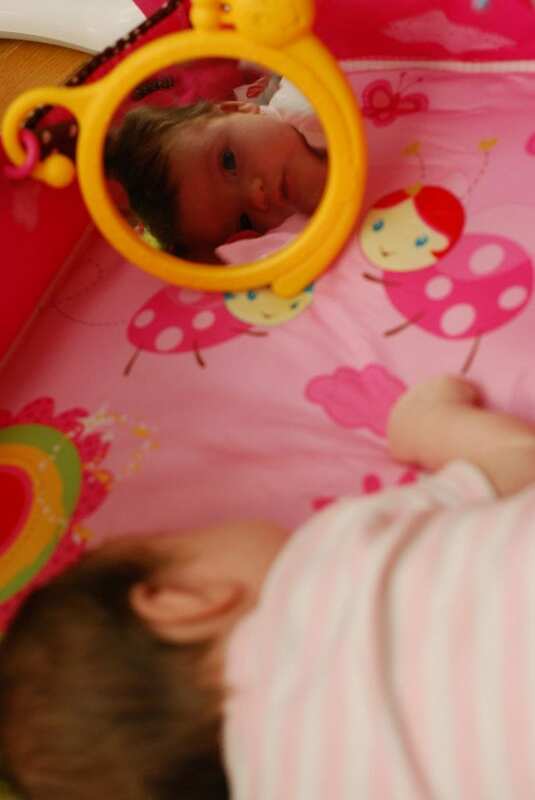 She loves looking at herself as she practices her tummy time! As my daughter HATES tummy time, this has been the one activity that she will relax and not cry about when placed on her tummy. She will talk to herself in the mirror which I think is absolutely adorable! Tiny Love thought of everything when developing the Tiny Princess Gymini Move ‘n Play including making it machine washable which is a non-negotiable in my house! I know we will continue to love the activity mat as Caroline grows. The Tiny Princess Gymini Move ‘n Play retails for about $74.99. Please visit Tiny Love to learn more about this product as well as other amazing products for your kids! 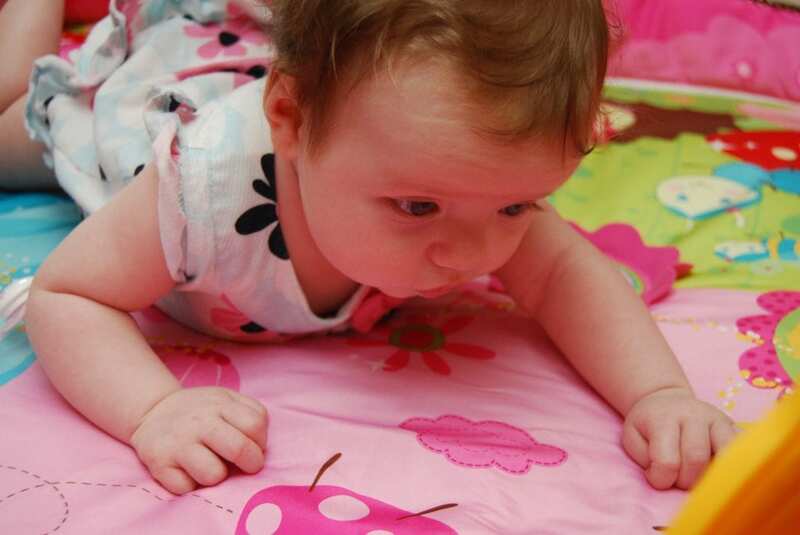 One lucky reader will win a Tiny Princess Gymini Move ‘n Play activity mat from Tiny Love! Tiny Love is providing the prizes for this program at no cost to me and has provided me with an activity mat for this review, I didn’t receive any compensation for writing this article. All opinions are 100% mine! it really has a lot going on i think any baby would love this! I love that the arches can be removed. I like that the toys can be re positioned with the sliding rings. I like the beautiful colors and the butterfly. I like that it can be used for tummy time, plus it has bright colors! I love the bright colors and that it’s machine washable. I like the flexible arches feature an electronic music and lights toy that plays seven melodies. My favorite feature is that it plays eight melodies. Love how colorful and bright it is! Love that it is machine washable! 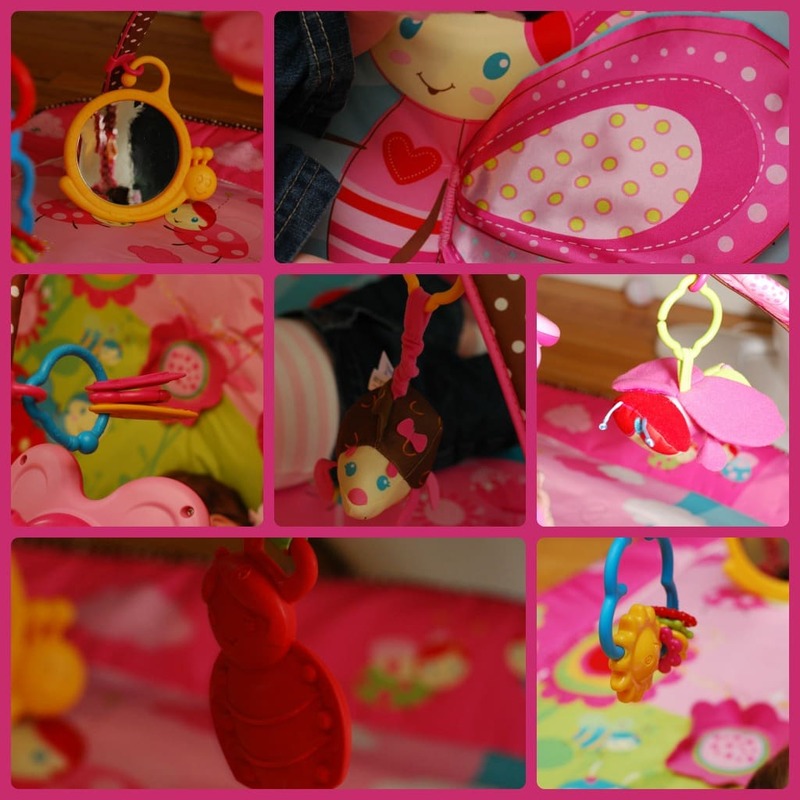 I love the bright colors and all the toys that will keep baby entertained for a while. The variety of toys and cute print!